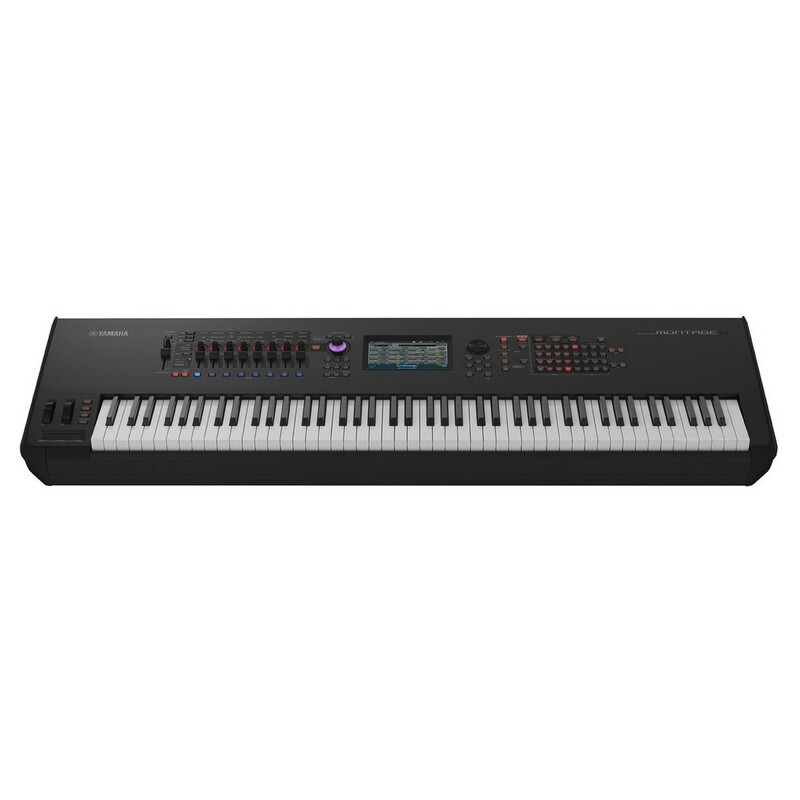 The Yamaha MONTAGE-8 Synthesizer features a 7'' colour Wide-VGA touchscreen, 128-note polyphony, Motion Control Synthesis and Balanced Hammer Keyboard. 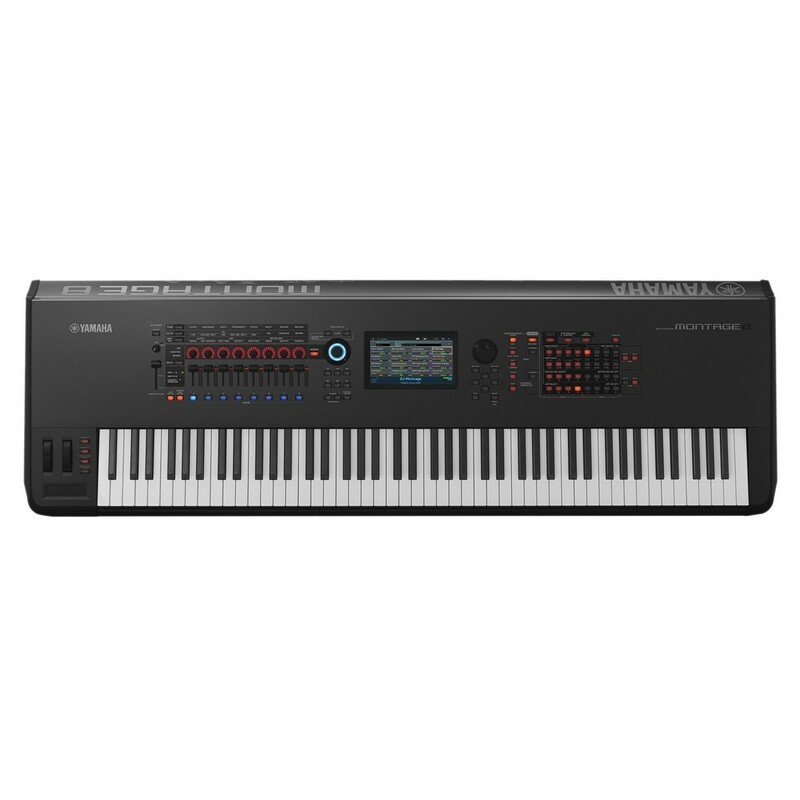 Additionally the synth features a Performance Mode and Seamless Sound Switching (SSS) technology for added performance value. 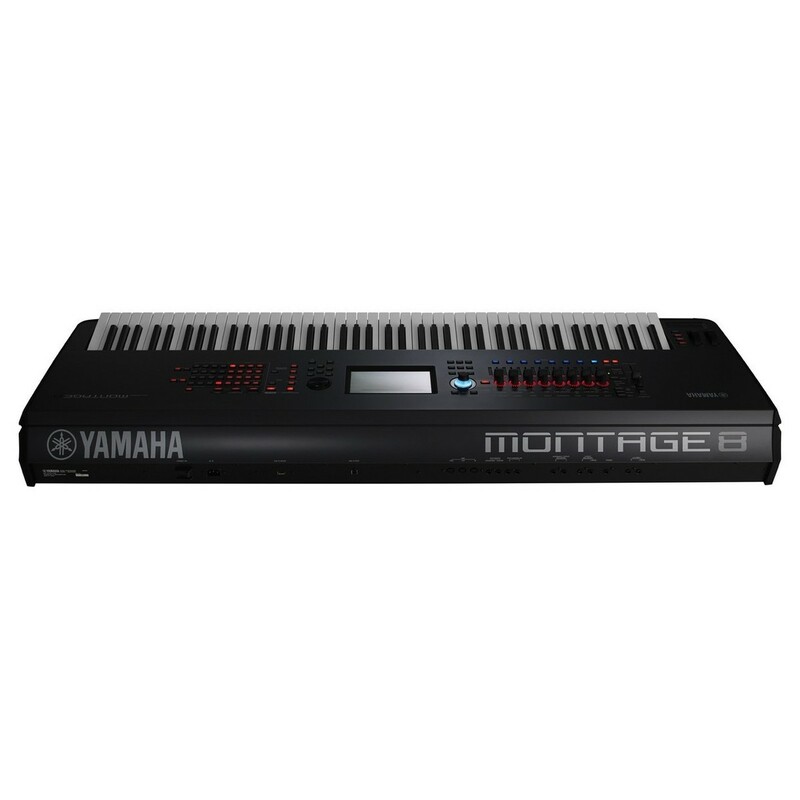 The Yamaha MONTAGE-8 is a highly powerful synthesizer featuring 88 full-sized keys for fluid playing. 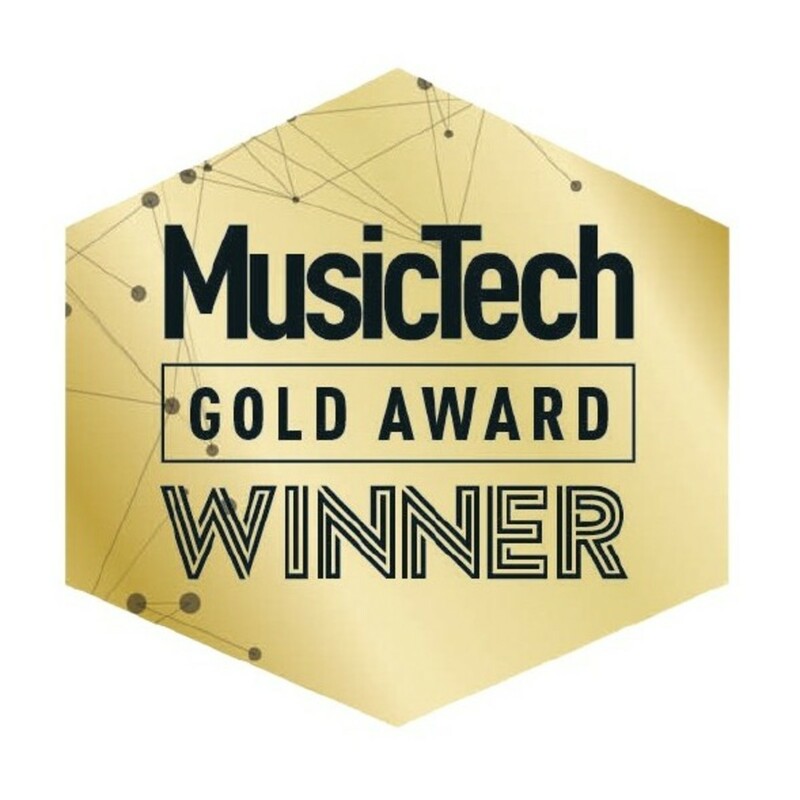 With its intuitive controls and powerful DSP effects engine, the MONTAGE-8 is perfect for digital musicians and pianists alike. 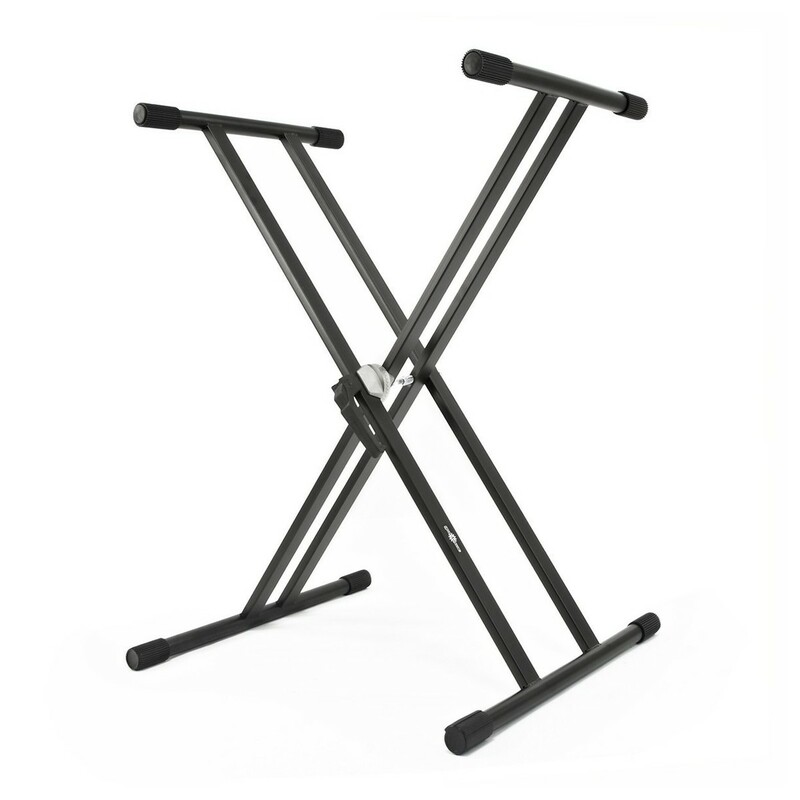 This MONTAGE-8 bundle also includes a pair of AKG K52 Studio Headphones for personal listening and an X-Frame Double Braced Keyboard Stand for added convenience. The FM-X sound engine works in conjunction with the AWM2 to deliver the premium quality sounds and response that the MONTAGE is known for. These two engines can be freely zoned or layered across all parts in a Multi-Part Montage Performance. 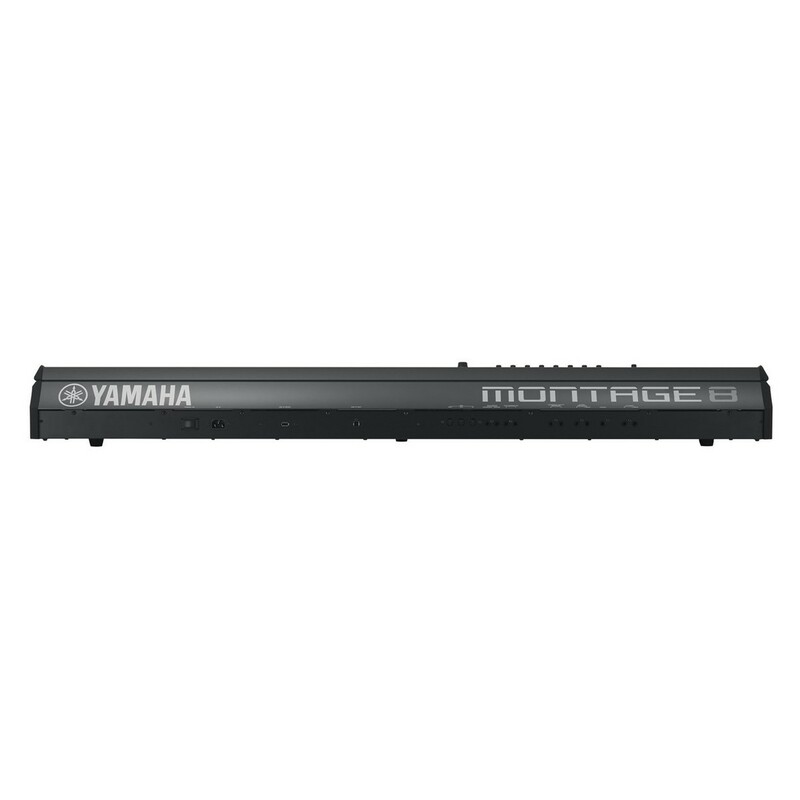 These powerful and expansive sound engines are what drive the Yamaha MONTAGE's rich and articulate sounds.